Lots of space for your dog to have fun, at Berghof Sturmgut in a ski paradise which hosts Alpine World Cup ski races. A great place for a ski holiday where you can bring your dog! You can get on your skis in front of the house and you'll already be on the slopes. It's easy to stop by our house and look after your dog or take him for a walk - so he/she will never be bored. We also have two dogs - as long as your dogs are friendly, there'll be no problem! Holidays with dogs have many advantages for you as a guest. 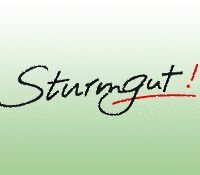 Sturmgut offers you the possibility to spend your ski holidays with your dog in a location ideal for you and your four legged friend. Whether your want to take your dog out for a walk quickly before breakfast or after dinner, the dog trails starts right at the doorstep. As the trail is on our own premises, you can have your dog run around freely. A whole variety of dog friendly restaurants, winter trails and inns surround us. Please note, that dogs are not allowed on the cross country tracks. Of course you can take your dog to your room or apartment. We even have a dog lounge for you and your friend. As we are not a specialized pet hotel, dogs have to stick to some rules. Dogs are free in our hotel, please respect the following guidelines in return. Dogs who are not child secure, obedient or chase animals, have to be on a leash. Dogs keep away from the playground. All our rooms have carpeted floors, so please have them sleep on a blanket or in a basket. We gladly provide you with old towels for cleaning your dog. We reserve the right to charge for compensation of any damage that might occur.